SYRIA A CONFLICT TOO FAR FOR U.S.A. | SNinternational. SYRIA A CONFLICT TOO FAR FOR U.S.A. The USA is making biligerant noises over Syria and a recent chemical weapons attack. Now it is quite correct that no civilised country should accept that this kind of weapons can be utilised. However, the key component of any issue is the facts and the truth and the evidence to match the facts to the truth. Very shortly before the attack the New York Times no less carried a story pointing out that the rebels in Syria a rag tag mob of disparate groups, some who fought in Libya, were armed with sarin and the chemicals for it may well have emanated from the U.K. but undoubtedly were financed from Saudi and the article suggested the the former Ambassador to the USA Prince Bandar (nicknamed Bandar Bush) was behind the arming of the anti Assad group in question. It is well known in Saudi that they do not Like Assad at all. The real tragedy of Syria is the thousands upon thousands of refugees the conflict is creating over the past two years. The plight of those refugees is not forgotten by the Kirk in Scotland. 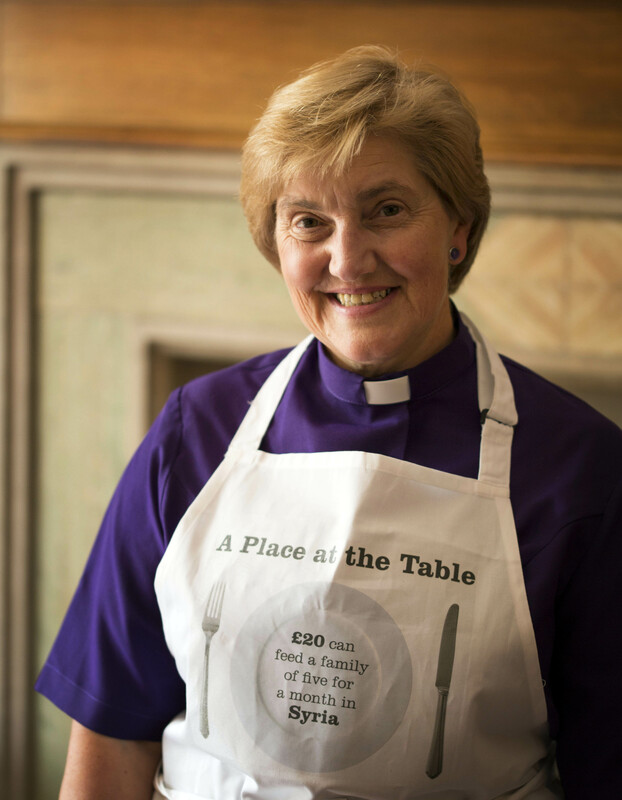 The Moderator of the General Assembly of the Church of Scotland, Right Rev Lorna Hood, has today shown her support for the victims of the conflict in Syria by donning an apron and hosting a special meal at her official residence. “I’m delighted to endorse this unique initiative to help Syrian refugees as they struggle to feed their families. Rt. Rev Lorna Hood, Moderator of the General Assembly of the Church of Scotland. 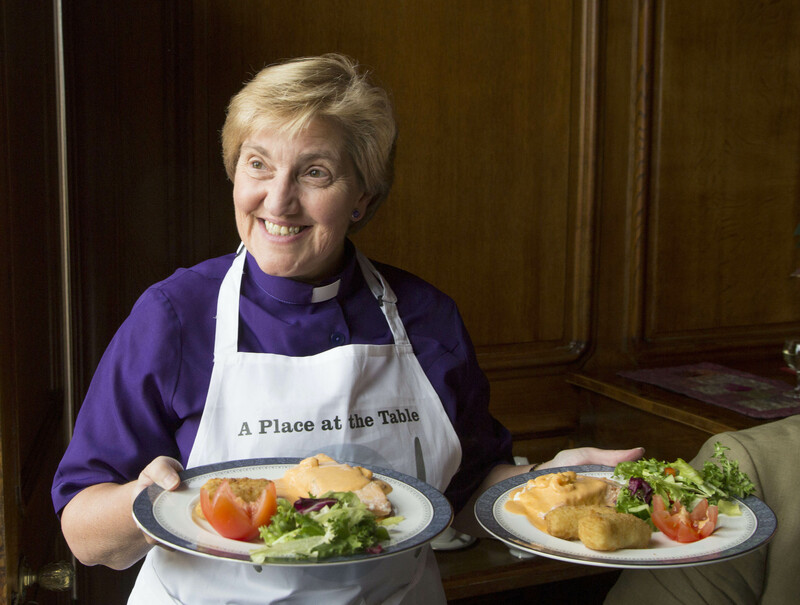 ‘A place at the table’ is an initiative of the Church of Scotland, aiming to raise funds to help those affected by the crisis in Syria, which has claimed the lives of thousands of people and has left millions homeless and without the basic necessities of life. Those participating in a meal together can choose to donate the money they would have spent on an extra meal. The Church of Scotland is working with its partner, the National Evangelical Synod of Syria and Lebanon (NESSL). NESSL is reaching out to the displaced people in Syria and the surrounding countries, and are seeking to support at least 24,000 families over the next year.